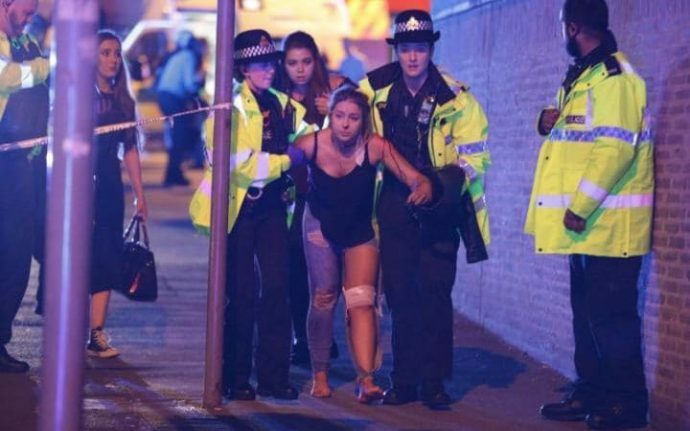 19 dead, 50 injured in suspected terror attack after Ariana Grande’s concert at Manchester arena – Royal Times of Nigeria. 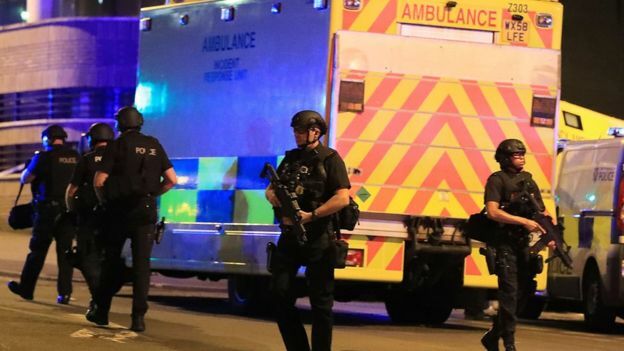 Nineteen people have been killed and about 50 injured in a suspected terror attack after a pop concert by US singer, Ariana Grande at Manchester arena, BBC reports. According toreport, the explosion happened just after the concert ended at about 10.30pm. The police have confirmed that it is a terrorist attack and the attack took place in the arena’s foyer. There are reports that it might have been carried out by a suicide bomber. British Prime Minister, Theresa May in reaction to this has suspended her general election campaigning and is expected to chair a meeting of the government’s emergency Cobra committee later. She said; “We are working to establish the full details of what had happened in Manchester”. “All our thoughts are with the victims and the families of those who have been affected”. Telegraph UK reports that Grande’s music label, Universal Music Group have commiserated with those affected in the blast, “We are deeply saddened to learn of tonight’s devastating event in Manchester. Our thoughts and prayers are with all those affected by this tragedy“. Ariana Grande has also said she is broken by the incident. She shared a tweet: broken. from the bottom of my heart, i am so so sorry. i don’t have words.